IE University holds a leading position in Europe among institutions of higher education for excellence in innovation and learning technologies. In addition, its undergraduate programs are recognized by the most prestigious associations in their respective fields, and highly regarded by employers of leading corporations. 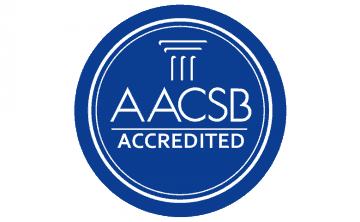 AACSB accreditation represents the highest standard of achievement for business schools and less than 5% of the world’s business programs have earned this prestigious accreditation. AACSB-accredited schools have the highest quality faculty, a relevant and challenging curriculum and provide educational and career opportunities that are not found at other business schools. EQUIS assesses institutions completely. It assesses not just degree programs but all the activities and units of the institution. This includes research, e-learning units, executive education provision and community outreach. 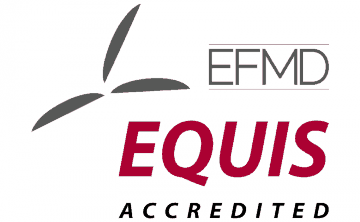 To be accredited by EQUIS, institutions must be primarily devoted to management education. Institutions that are accredited by EQUIS must demonstrate not only high general quality in all dimensions of their activities, but also a high degree of internationalization. AMBA accreditation gives business schools international credibility and recognition. AMBA accreditation identifies programs as the best available. This accreditation represents the highest standard of achievement in business education and is earned only by the best programs and business schools worldwide. IE University’s Bachelor of Laws program has been granted with prestigious European Module within the Jean Monnet Programme to support the teaching and research of European common private law. Possession of the Module demonstrates that the study of European common private law is approached transversally through four different courses: European Legal History, EU Law, Contracts, and Property, plus Advanced Seminars and international conferences. The Module allows students to develop a more integrated, global, and sophisticated understanding of European common private law. The IE School of Global and Public Affairs is a member of the Association of Professional Schools of International Affairs (APSIA), a prestigious membership of schools in North America, Asia and Europe dedicated to the improvement of professional education in international affairs. IE University’s Bachelor in Architectural Studies program has been listed for the second consecutive year in DesignIntelligence, the bi-monthly journal which is a reference point for architecture and design leaders.